A breakthrough formula that minimizes wrinkles up to 25% within 12 days. This proven serum uses a unique encapsulation technology, allowing greater absorption of Vitamin C. Skin is softer and smoother with noticeable improvement in tone and texture. Minimizes inflammation and reduces redness. 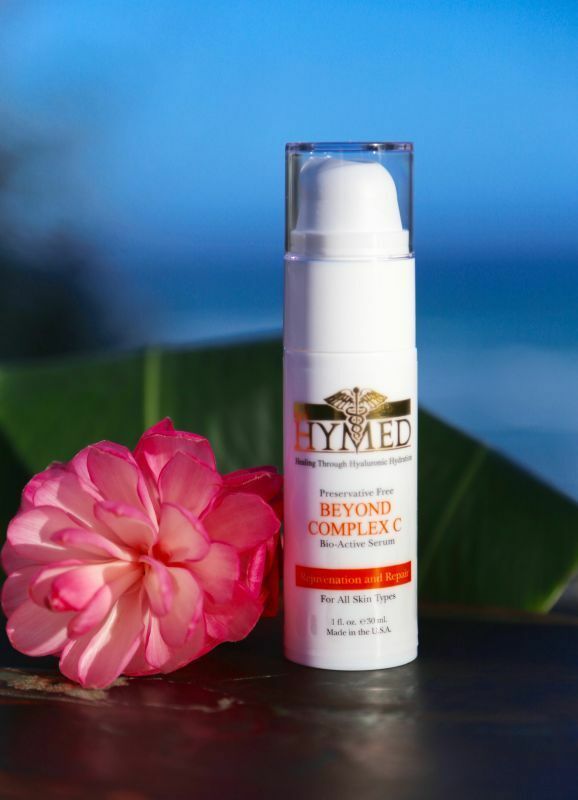 Many patented anti-aging peptides and other ingredients that will minimizes fine lines and wrinkles and improve tone, texture and bring radiance to the skin. Innovative ‘encapsulated’ delivery system releases high concentrations of active ingredients precisely where they will achieve maximum benefit. Synergistic combinations of plant and marine extracts rejuvenate the skin. Soothes irritated skin. Minimizes redness and calms inflammation. Minimizes damage from sun exposure. Gently massage a small amount onto skin with fingertips. Follow with a Hylunia moisturizer. This may be used twice a day. Aqua, L-Ascorbic Acid (Vitamin C), Hyaluronic Acid*, Punica Granatum Extract (Pomegranate)*, Camellia Sinensis Leaf Extract (Green Tea)*, Padina Pavonica Extract (Sea Plant)*, Dipalmitoyl Hydroxyproline (Peptide), Calendula Officinalis Flower Extract*, Palmitoyl Oligopeptide, Palmitol Tetrapeptide-7, Chrysanthellum Indicum Extract*, Glycerin*, Wasabia Japonica Root Extract (Wasabi)*, Saccharomyces/Zinc Ferment*, Saccharomyces/Selenium Ferment*, Diheptyl Succinate*, Capryloyl Glycerin*/Sebacic acid* Copolymer*, Melia Azadirachta Leaf Extract (Neem)*, Glyceryl Stearate*, Cetearyl Alcohol*, Sodium Stearoyl Lactylate, Tocopheryl Acetate (Vitamin E), Cyclodextrin*, Retinol (Vitamin A), Avena Sativa Extract (Oat Kernal)*, Saccharomyces Lysate Extract*, Lysolecithin*, Sclerotium*, Xanthan Gum*, Ethylhexylglycerin*,Tetrahydrodiferuloylmethane (From Turmeric)*, Caprylhydroxamic Acid, Methylpropanediol, Pullulan*. * is Plant derived.